Five years ago, no-one knew how to pronounce Poke, let alone eat it. 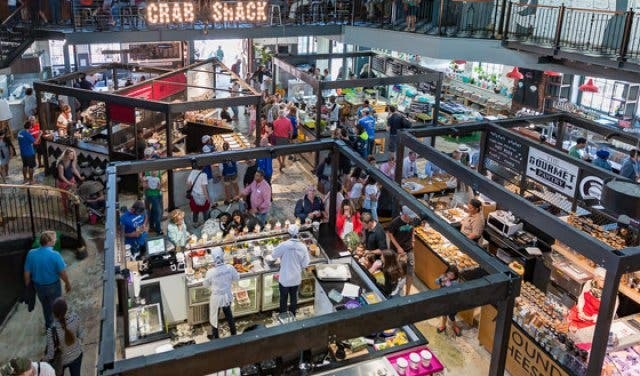 Today, Cape Town is one of the world’s top food destinations, thanks to culinary trendsetters like the V&A Food Market, which offers the creative space and support for cutting-edge food concepts to come to market, seven days a week at the V&A Waterfront. And it’s always looking for new, groundbreaking concepts. Got any ideas? It’s not every day or in at any food market that you come across food concepts that are breaking new ground. 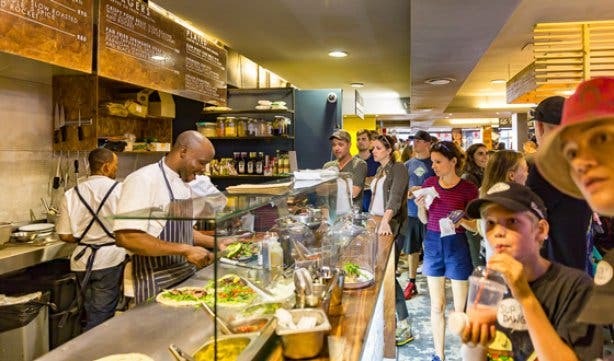 Ideas like Yokos, a yoghurt smoothie bar that not only makes its’ own yoghurt but creates smoothies and bowls to cater for any meal or palate, including a delicious non-dairy coconut yoghurt for vegans. Or how about Chop Chop, a restaurant that serves your choice of steak cut (rump, fillet, sirloin) and weight (priced per 100g), cooked to perfection, chop chop. 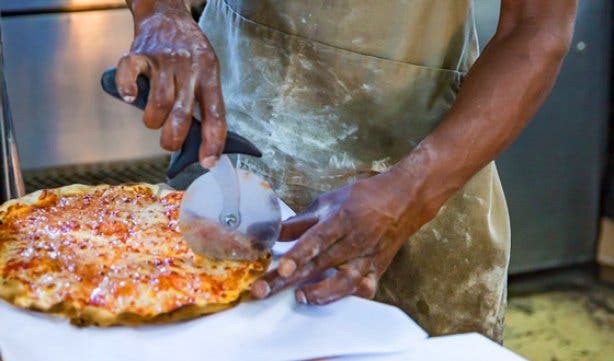 These are just two of the 42 artisanal street food concepts that the V&A Food Market has brought to market in its five years of operation at the historical Old Power Station at the V&A Waterfront. 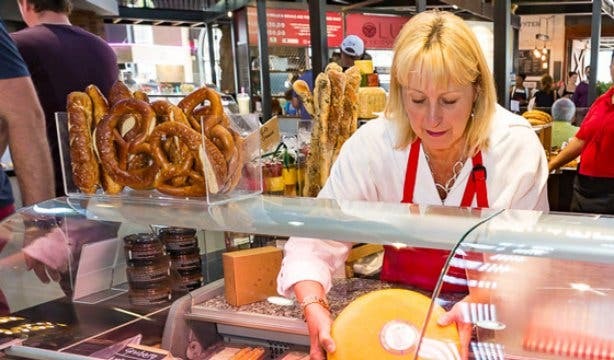 Everything this market does is about being at the cutting edge of innovation and supporting new foodies to test their concepts and old entrepreneurs to keep ahead of international food trends. 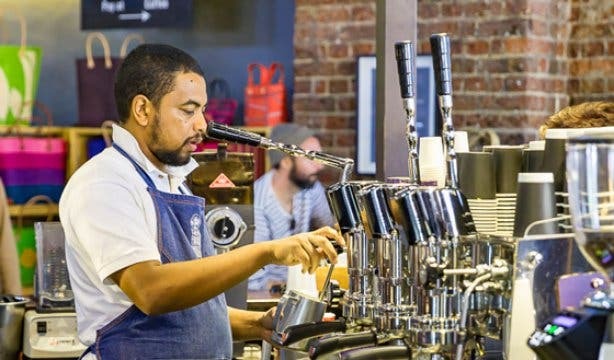 That’s why you’ll find the speciality tea merchants, South African food vendors and handmade chocolatiers all under one industrial size roof. There is even a Bottle Bank – a shop that sells 100 local craft beers, 20 South African gins and four local vodkas. No two years look alike in this marketplace of ideas. New concepts and vendors move in and on when they have built the skills, confidence and audience to set up shop. 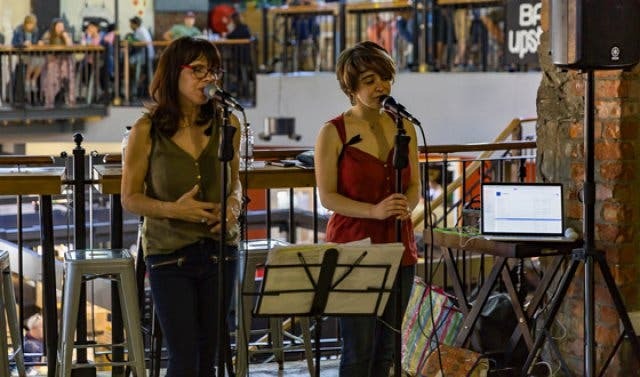 The idea for the market all started with the venue – the Old Power Station. In 1882, the Old Power Station brought power to the Cape Town dockyard.. Today, this powerhouse of innovation is still generating bright ideas through the V&A Food Market – an artisanal street food market that brings together locally produced products, cutting edge concepts and affordability together, seven days a week, in the heart of the V&A Waterfront. 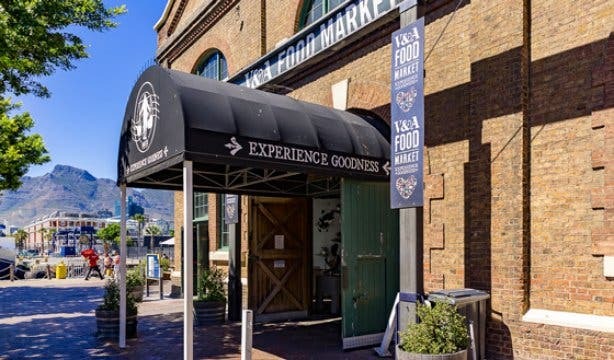 Located in the heart of the innovative hub (next to the Watershed) at the bustling V&A Waterfront, the market is also the perfect place to educate and grow local audiences on new concepts like raw fish salads, which Hokey Poke offers, or Vietnamese rice paper rolls, which Lua sells for only R30 each. 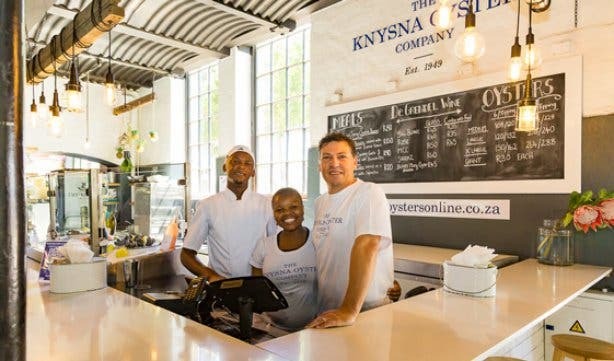 The market wants to make gourmet food simple and accessible to the locals that work at the Waterfront as much as the tourists that visit it. That’s why the market offers a lot of added value and works closely with vendors to make sure their menus are on trend and within budget. It also offers ample tables and seating both outside, where you get to enjoy spectacular mountain and harbour views, as well as upstairs, where fully-stocked bars perch high above the action below. 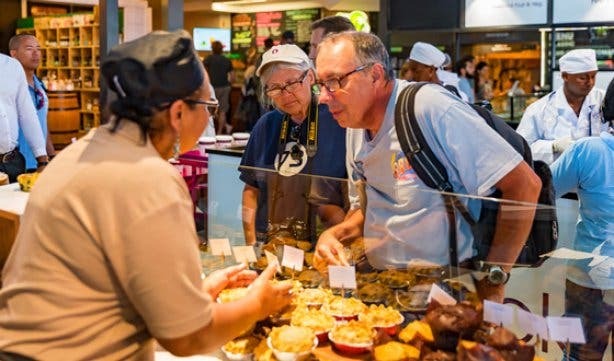 The concept behind the market is as much a fusion of ideas as the dishes and delights it offers. 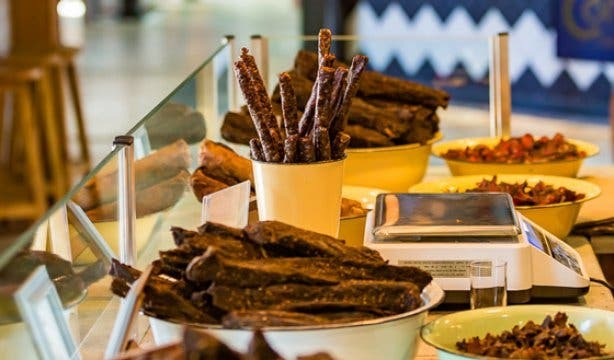 The V&A Food Market brings together the affordability of street food and the taste of speciality artisanal food so that the man in the street can afford a unique food experience. We’re talking R40 for four rainbow rolls from Sushi to Go and R95 for 500g of steamed West Coast mussels. 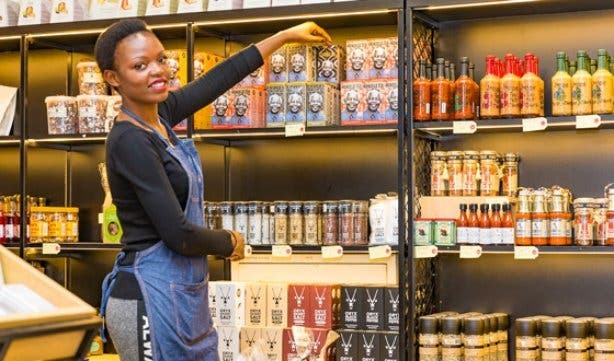 The V&A Food Market is a marketplace for ideas, as much as people. Here speciality vegan delights are as much on the menu as Halaal nibbles and sweet-toothed treats. You’ll be surprised just how much variety and space this industrial space offers. Even the brands you know and love, like The Knysna Oyster Company, Crab Shack and The Creamery, might surprise you with their menu and prices, each curated to offer the finest food at the lowest prices. If you’re an entrepreneur who wants to put their food concept or brand to the test, there’s no better place or location than this vibrant market, which is open every day from 10am until 7pm (Sunday to Thursday) 10am until 8pm (Friday and Saturdays) from May to October and 10am until 8pm (Sunday to Thursday) and 10am until 9 pm (Friday and Saturdays) from (November to April).